Having a high search engine ranking for your keywords can mean the difference in your store sales. Our ecommerce applications are search-optimized, allowing pages to be indexed by all major search engines and includes support for custom product and category META tags. If you like simple, clean web design and you’re looking for quality, then you have come to the right place! Webdroppers will make your site fresh and current. All of our ecommerce implementations are customized to fit your specific business requirements. Open source standards allow us to make your store work the way you want it to work. We are integrated with major fulfillment applications like LOMACS and Netsuite. At Webdrop Studio, Optional Features Are Standard! Enjoy these features that come standard with our ecommerce solutions. Because we built the system, we know it inside and out. 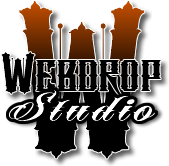 Webdroppers develop custom functionality for all business models. We look forward to discussing your project with you. And Many More Features… Just Ask!